Here our specific focus is on Startups and Entrepreneurs. Bangalore provides a vibrant eco system for technology intensive firms to come to market with their app, service and product offering quickly and scale their operations because of the availability of talent. Non tech related startups have also come up in recent times delivering various services and aggregating service providers. What is the pain point for Entrepreneurs is the ability to manage their finance at this nascent stage of their firm, build a credible financial forecast and stick to it. This is where we have helped many firms in Bangalore and Dubai. We provide intense consulting in the areas of financial projection, business plan preparation, understanding your value drivers from finance perspective so that you can weave your product offering and marketing strategies around it. Spread over eight weekends one can attend this program at a fee of Rs 30,000 (taxes extra) the schedule of the programs is notified when critical numbers enroll into the program. Here general concepts of Finance, Management Accounting and Accounting required for Founders of a Firm is discuss. After attending this course the founder’s can be very comfortable managing their own finance departments, conversing with Auditors and Tax Authorities. Here is a sample of what comes up for discussion in a typical seminar with TechPrenuers. Having said that we also recommend Entrepreneurs of all backgrounds Tech and Non Tech to undergo this intensive finance course to help them manage their own finances well. Note we don’t extensively discuss Accounting in this course because it is a commoditized skill and with packages like Quick Books Pro or Tally even a high school graduate can maintain the books. This is mostly for non finance background engineers with strong technical background who start companies where the functional area of finance also assumes critical importance. Without having a formal education into accounting and finance, working in this area for an entrepreneur becomes overwhelming and it’s our endeavor to make finance fun and yet retain the cutting strategic edge it provides. Earnings after Tax or Net Income or Net Profit is also called Bottom Line. Needless to say Bottom line must be black i.e. positive it must not be red i.e. Loss. I intend to create a business of ______ where I expect my first year Revenues to be _______ and grow it to __________ in five years. My first year Operating Income will be about ___% of Revenues and by 5th year it will be ____% , I am confident of cutting my Operating Expenses from ___% of Revenue to __% by 5th year without sacrificing growth and by 5th year the bottom line will be Rs_______. b. Operating Expenses Forecast: - We need Cost of Products sold or Services provided to customers. There are essentially three components to Operating Expenditure i. Cost of Goods Sold ii Selling General and Administrative Expenses and iii depreciation on assets. The last one is called non cash expenses which mean there is no actual cash outflow. c. We need an Estimate of Initial Capital Expenditure in Property, Plant and Equipment with the estimated useful life so that we are able to proportionately reduce its value due to usage, obsolescence and passage of time. d. What is the Proportion of Capital Employed which we will be in through our savings, through friends, through relatives and what Proportion we intend to borrow from banks. When we borrow its called Debt, we need to pay interest on the Loan and will have to repay the loan at periodic intervals of time. f. We need to know the rate of Income Tax. Pro Fitness is a mobile phone application which has been designed by a veteran Body builder and the basic version is expected to be available for download for free. The step up version will be available for Rs 100 per month subscription and the Advanced Version is available for Rs 500 per month. The cost of making the application is estimated to be a one time cost of Rs 6 lakhs with a recurring cost of Rs 55 thousand for monthly updates. Additionally the members can opt for a personal fitness instruction program of 15 days in their city free of cost for Step up and professionals and Rs 4000 for free members and general public and the schedule for about 20 major cities is planned which will be events for promoting fitness among professional sports people and athletes. The cost of holding these events is expected to be Rs 3 lakhs per venue. We have fitness equipment and gym chain willing to sponsor up to 50% of these costs, we expect 2000 members in professional category and 5000 members in the Step up category and about 20000 members in the free category. Our customers are gym which wants to involve their members continuously and keep them motivated to pursue a program of fitness and customize the program to suit the client. It will allow the Gym to increase the engagement with the member in order to prolong the membership duration. Our customers are also the Gym members who do not get quality guidance in their local gym and can thus use our app to guide them through a routine. Prepare a Statement of Revenue if the Growth in members is expected to be 10% per annum and the fee increases by 5% per annum. Entrepreneurs who attend the Finance Course will find they need help in applying the concepts taught to their particular company. We help by consulting with these companies and Charge Rs 3000 per hour. By the end of this process we hope to build a unique financial model with the Entrepreneur taking the lead in building the model so he/she understands all the important value drivers of his business. As a continuation to the above exercise of consulting we do with entrepreneurs we also provide intensive valuation consulting where we prepare Valuation reports (critical for FDI remittance) and prepare term sheets. We prepare the presentation for the pitch from the finance view point and are available to answer any critical questions investors may have. The charges for this vary from case to case based on quantitative and qualitative factors starting from Rs 75000. We coach the Entrepreneur step by step to build his own models so that he is always in control of the leavers and knows how the various value drivers interact for his business. Many tend to be serial entrepreneurs and hence find this a permanent value add to their knowledge base. 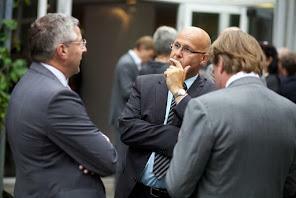 Corporate Finance Consulting for Corporate. From April 1st 2016 it will become mandatory for companies in India to adopt their accounting process, standards and systems in line with IFRS. In addition to conducting extensive workshops to impart knowledge on IFRA we also help in implementing the same in your organization. We provide extensive inputs to manage your commodity, interest rate, foreign currency and other tradable risks. We undertake to study a business problem faced by the client and go back and collect data on the same and come up with a best case solution to that problem. The engagement usually lasts a week and we bill by the hour with travel and accommodation charges extra. Where we can offer the best value is in areas like human resources accounting, valuation, strategic goal setting. We also provide calls to trade and invest your surplus cash to earn superior returns than other opportunities carrying similar risks. This is a Corporate Budget work for a manufacturing concern. The Zonal Managers send in their estimates ( West, South,North, East) which forms the basis for Preparing the Company estimates. Other Budgets like Payroll, Raw Material Purchase, Cost Sheet etc are there is COGSP&LBS which also contains the forecast P&L, Cash budget and Balance Sheet Monthly, Quarterly , Half yearly and Annual. Mentes Specilises in creating such holistic templates to enable management to have complete control over their Planning and Execution processes from finance perspective.